If you are realize, most of the people here are from MFSS. haha. Its like a school photo! That night was an awesome night because we were laughing so much. Anw, how are you gonna spend your Wednesday night? 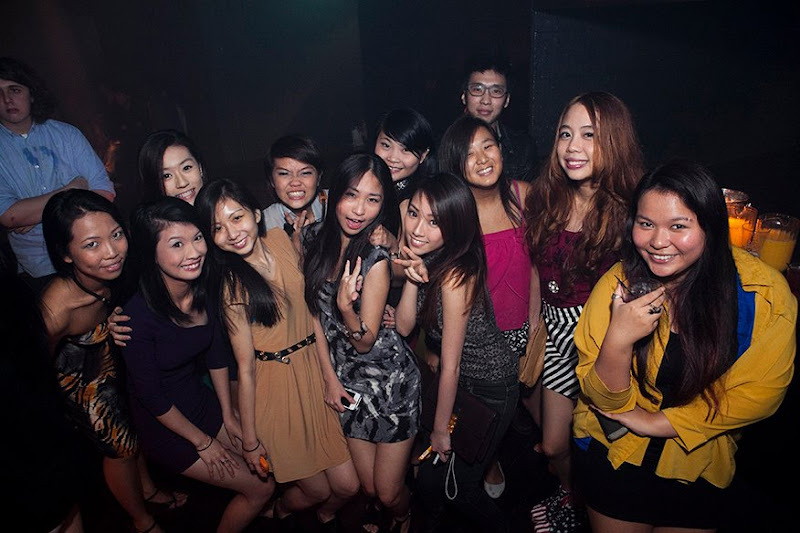 Don't hesitate and pm me for guest lists at Helipad. :) I'm really friendly if you have seen me in real life before. haha. Today has a lot of ups and downs. Apparently, since Saturday night, i haven't been sleeping properly. And last night Nicki and I went for a midnight movie and we drove around the whole night because my sister is leaving to Hong Kong at 6am! The terrible thing happened when we were about to leave the airport, feeling damn weary and sleepy. Just to add on, we didn't have enough sleep on Sunday too. Oh it feels so confusing now. But here is what I'm doing now. I sleep in the early morning and wake up in the late afternoon. So... when we were about to drive off like FINALLY cause we were so SLEEPY and it was already 5.30am, the car starter spoilt. You know how it feels when you are exhausted and you just wanna go home and sleep and your car broke down. haha. Ended up sleeping at 8am and i woke up at 3 plus pm. Then i'm off to the airport again to send Nicki for pilot training at Aussie. I'm gonna miss Nicki and my sister! Alright guys, i'm gonna watch some movies now, have dinner and sleep. Its always you who clubs with me and its always you who brings me to movies and around Singapore. Sigh, i should stop talking. Getting more emotional now.